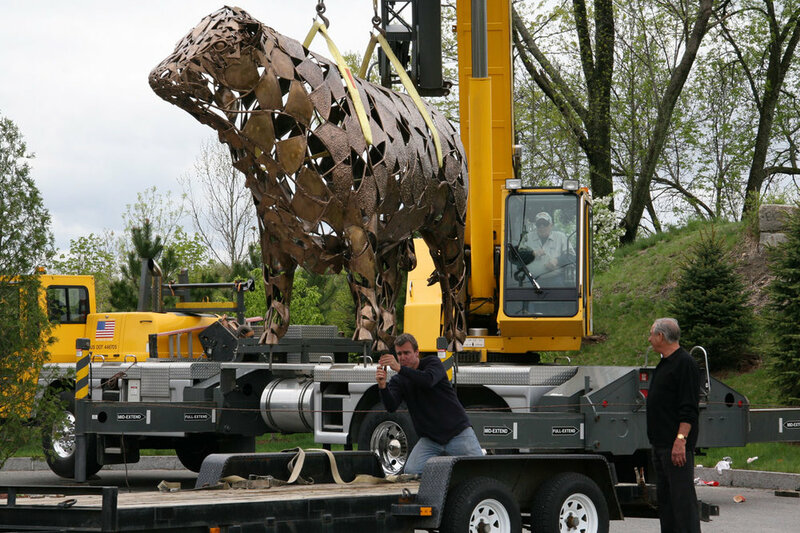 2009 - Bull Steer commissioned by the city of Manchester, New Hampshire. Years ago the City of Manchester had a meat processing plant that employed half of the population of that city. The owner wanted to give something back and naturally he was thinking this! 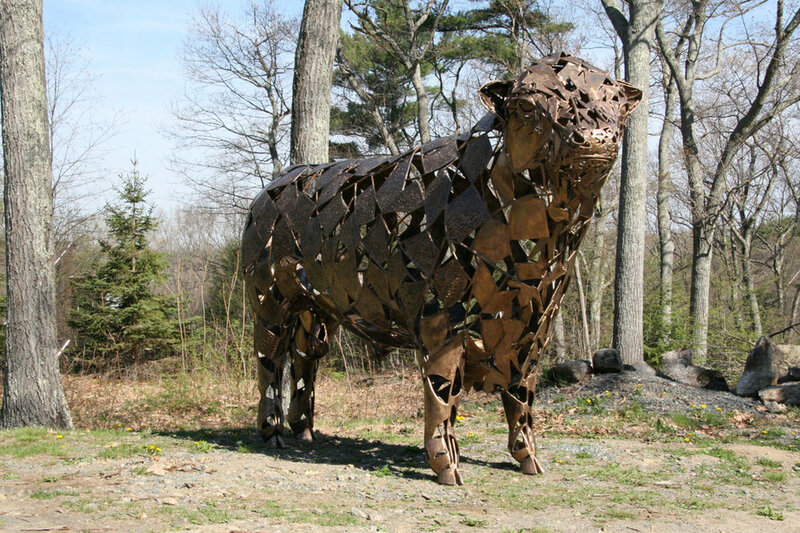 This 13' Bull is made of bronze and resides along the Merrimack River.